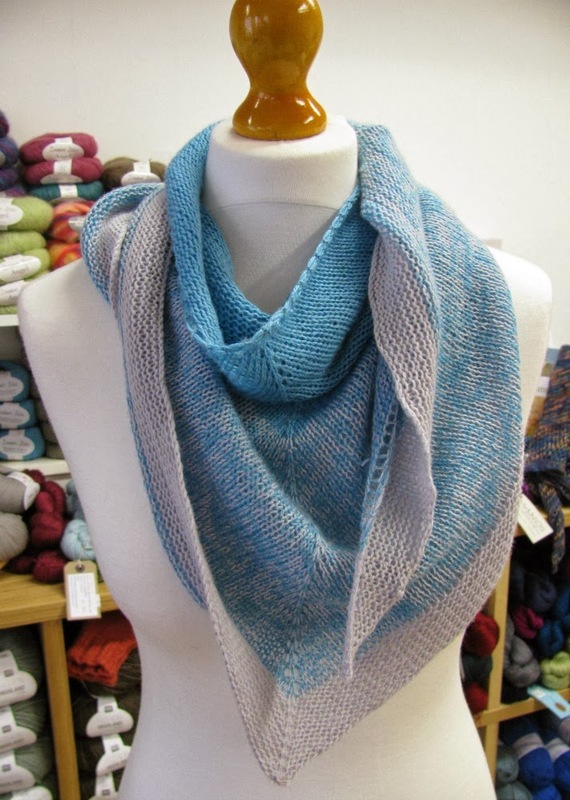 Spring Kerchief is a free pattern available on Ravelry by designer Sachiko Uemura. 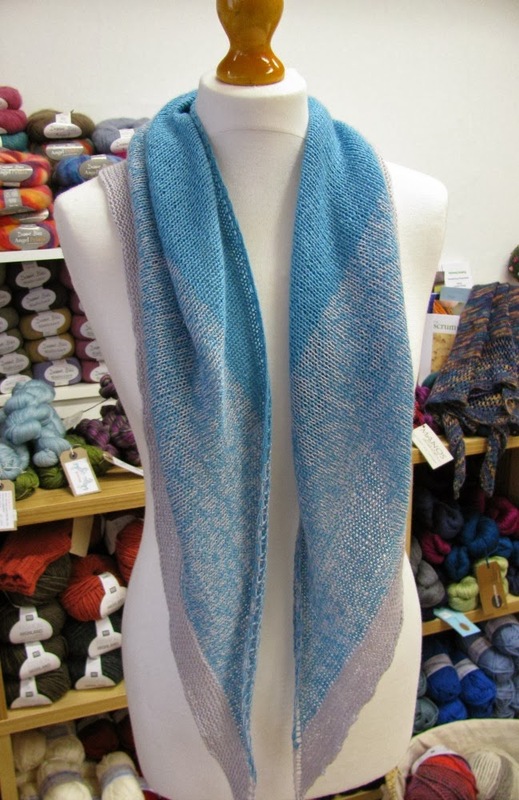 It uses 2 shades of a laceweight yarn - blending the colours in the middle of the shawl. You hold two strands of yarn throughout - so it knits up quite quickly. And it is fantastic 'mindless' knitting when you don't want to concentrate. You do need to split your starting ball into one third and two thirds, so scales are handy. 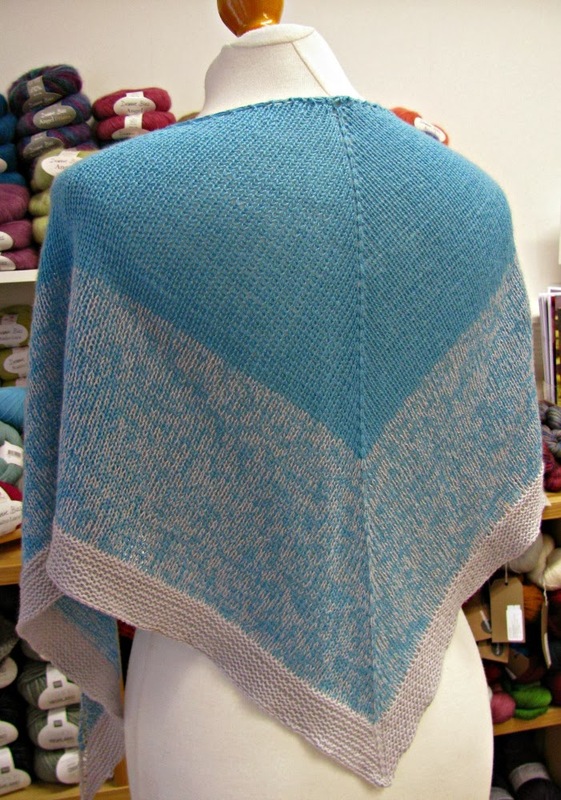 Our Kerchief is knitted using Debbie Bliss Rialto Lace, which we have always loved. It is 100% Merino and costs £5.50 for 390m. 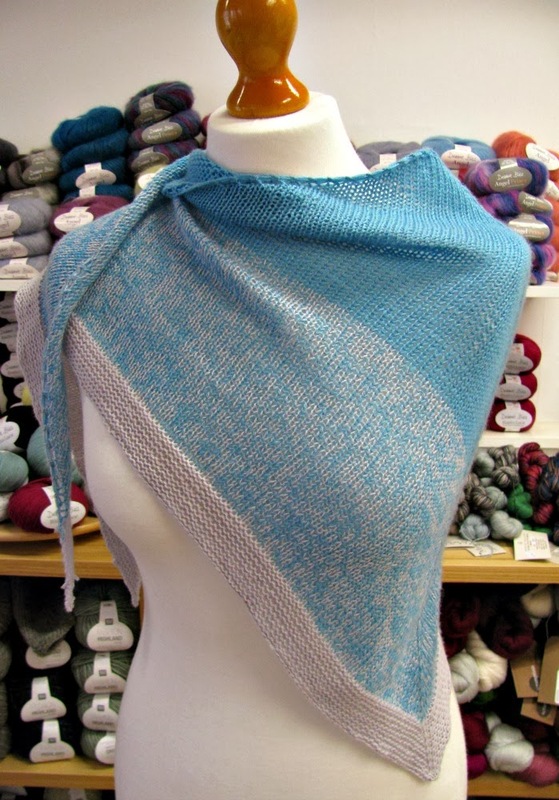 If you've felt our Colour Affection shawl you'll know how soft and light it is. But we love it even more now after using two strands held together. It makes a stunning fabric - soft and light but squidgy too. 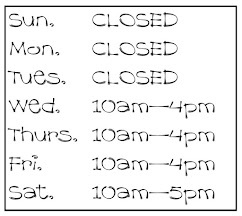 We have over 15 shades in stock!